The Finnish sauna dates back to the 16th century and is believed to have been a crucial part of life for the Finn’s for even longer. Finland isn’t the only country that embraces sauna culture, however. European regions that experience extreme cold conditions all have their own spin on the traditional sauna. Back then, saunas were a lot more than the modern indoor units that you see today in your friend’s bathroom. 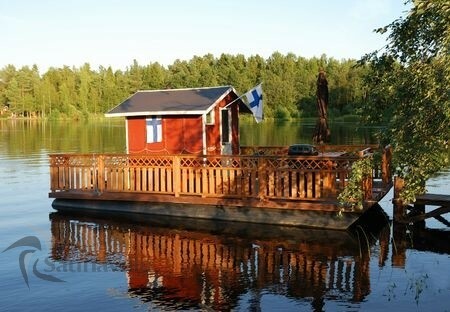 When the Finn’s relocated or purchased land, the first thing they would do was build a sauna. Finland faces extremely harsh conditions in the winter and its people felt the need to resort to an alternative to keep their families warm. They used their sauna primarily to heat and to bathe, but it was also used to temporarily live, cook food on the stove, and even give birth in a warm and sterile environment. Traditional Finnish saunas entail washing up and sitting in a hot room for a period of time. Finnish saunas reach temperatures of up to 230 degrees fahrenheit (110 C) and typically don’t go below 175 degrees F. After the room reaches its desired or maximum temperature, water is poured over hot stones on top of a stove called a kiuas, which creates moisture in the room. While Finns are enjoying their sauna, it is standard practice to beat oneself with silver birch branch called a vihta, which has a relaxing effect on the muscles. After one becomes hot, it is customary to jump in a lake or pool, take a cold shower, or even roll around in ice and snow and during the winter. Once cooled, the process starts over. Typically two to three cycles are common but it depends on the individual. Once the last cycle has ended, the sauna bath will finish with a thorough body wash.
For the Finns, the sauna is a sacred place. Cursing and controversial topics are virtually forbidden; only conversation that is conducive to the relaxed atmosphere is generally appropriate. 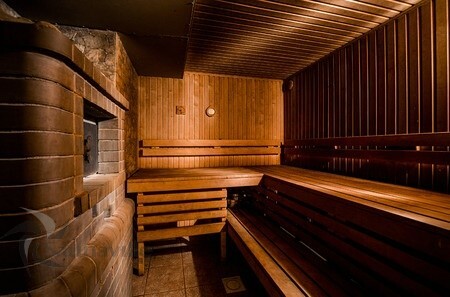 Anyone can use the sauna, and it’s not uncommon for different groups of people or strangers to end up in a public hot room together. Clothing is not permitted in the hot room, so small towels called pefletti are used to ensure your body can endure the contact heat from benches and various surfaces. Also known as the savusauna, these special saunas operate without the use of a chimney. Smoke saunas utilize a wood burning stove to heat the room. Once the sauna is up to temperature, the fire is extinguished and the smoke is ventilated from the room. The sauna remains hot due to the residual heat from the stove and creates a hot, soothing atmosphere to relax. Once the room loses temperature, the process is repeated. These saunas date back to the 16th century and are regarded as the worlds first type of sauna. These models came after smoke saunas and are still very popular today in rural regions of Europe. Wood stove saunas use a metal stove to heat the room and add humidity by pouring water over hot stones on top of the stove. The Finns realized that using birch wood to heat the stove provides the perfect temperature inside the sauna. It is the development of wood stove saunas that lead to the concept of placing benches at different heights in the hot room. Bathers found relief in moisture in the air while relaxing, and decided to sit in a higher place in order to better experience the sensation of humid sauna conditions. These units are among the most popular in the world and would probably never exist had it not been for the Finns. Electric saunas use electricity to heat the room, eliminating the need for burning wood. Since you don’t need to trudge through freezing conditions to obtain your heat source, electric stoves eventually took over and made it easy for anyone to use saunas. With the flip of a switch, bathers can enjoy immediate relaxation and luxury and no longer have to deal with messy cleanups. Furthermore, the concept of using electricity for saunas paved the way for indoor and home sauna use.